Setting a standard with its rock-solid and straightforward design is the Chris Reeve Large Sebenza 21 with Bog Oak wood inlays. The Sebenza was originally designed by Chris Reeve in 1987 and has since been the benchmark example of what a knife can and should be. It has seen some modifications over the years, the end result being the Sebenza 21 (the '21' indicating that it is the 21st anniversary edition of the knife). 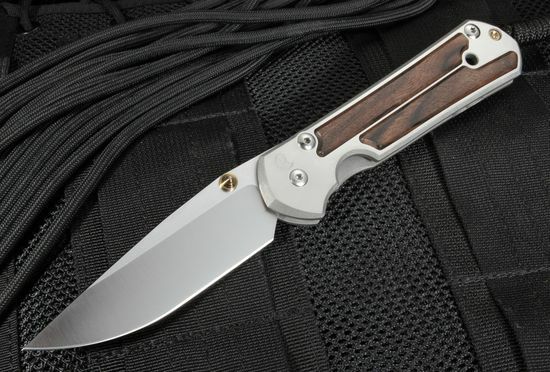 Whether you're interested in the raw efficiency and reliability of the Sebenza 21, or you are a collector who admires its beautiful Bog Oak wood inlay design, this knife is an example of the high quality standards Chris Reeve Knives hold their products to. The 3.625" CPM S35VN Stainless Steel blade hardened to an RC of 59-60 is durable enough to conquer whatever task you put it to. The American made knife steel, S35VN was developed with Chris Reeve's input by Crucible Metalworks. 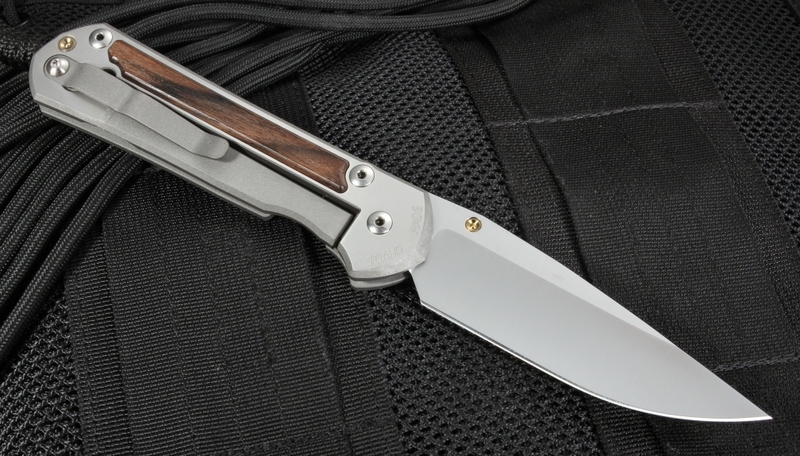 Complimenting the blade is the 6Al4V Titanium handle. Made from one of the toughest titanium alloys available, the Sebenza 21's handle is sure to endure the elements and protect the knife's blade in the process. The flats of the handle are satin finished. 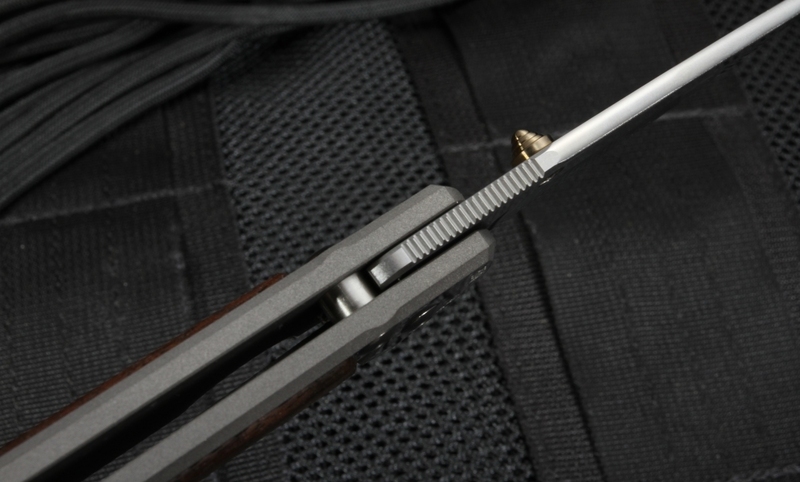 The thumb stud and the lanyard fitting are gold anodized titanium. 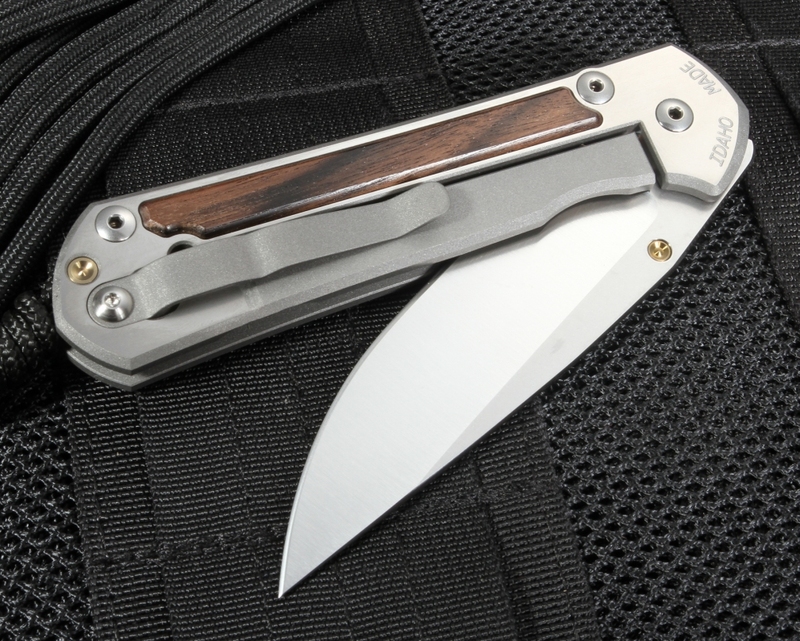 At 4.71" folded and 4.7 oz., the large Sebenza 21 Bog Oak is as compact and easy to carry as it is capable of getting the job done. 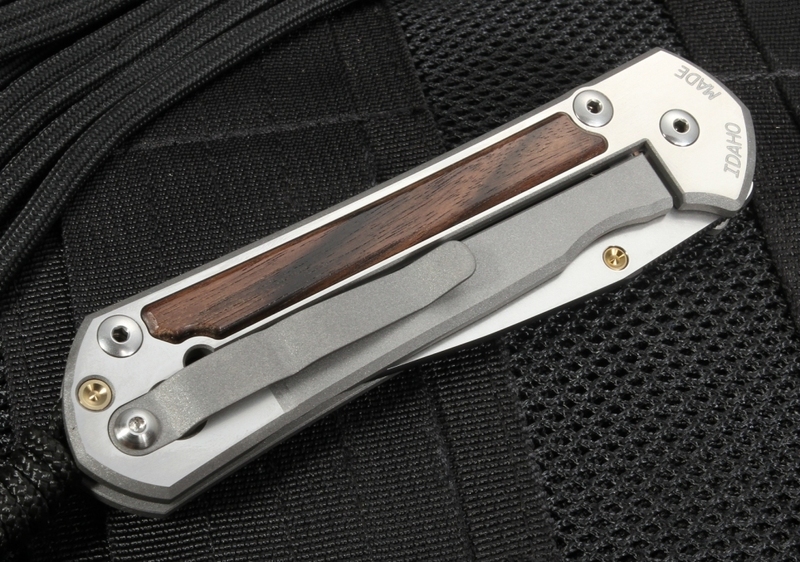 Equipped with a 6Al4V Titanium pocket clip for easy carry at waist level, your Sebenza 21 will never be out of reach should you encounter a challenge that requires it. If reliability is the key thing you're looking for in a knife, look no further than a Sebenza. This Large Sebenza 21 Bog Oak comes with a brown leather slip case, grease, certificate and CRK packaging. Superb service as always, knife is world class. Love it... From the UK. Outstanding knife, rock solid, yet amazingly light - perfect for hiking - incredible tolerances with the minimal space between parts possible.